Does America Really Want a Federalized School Choice Program? During last week’s State of the Union speech, President Trump spoke briefly on education by stating, “To help support working parents, the time has come to pass school choice for America’s children.” This may include Senator Ted Cruz’s Student Empowerment Act, which would expand tax-free 529 college savings plans to include K-12 education expenses for public, private, religious, and home education. While appreciating this concern and compassion for poor and underserved children who need a good education, there are many dangers with a school choice program, especially at the federal level. The biggest and most obvious concern is the further expansion of unconstitutional federal control in education. Imposition of federal regulations on private, home, and charter schools would naturally follow federal funds. Despite claims by proponents that the 2015 federal education law, the Every Student Succeeds Act (ESSA), returns education control to the states, nothing could be farther from the truth. The myriad and byzantine stipulations and regulations of ESSA would be enough to destroy private and home school autonomy for good. The Obama Core advocates are even planning to impose their standards on private schools. As the school choice movement grows, the attempt will be made to force any private or charter school that accepts public funds to adopt Common Core standards and have their students take the national tests. Big-government Republicans such as Jeb Bush and flip-flopping Mike Huckabee pay lip service to increasing school choice and supporting charter schools, private schools and homeschooling. Yet, they have been among the loudest GOP peddlers of the Common Core “standards”/textbook/testing/data collection regime thrust upon schools who want nothing to do with it. … No fully funded school voucher system in the world can improve the educational experience if Fed Ed controls the classroom and homeschool room. Coerced conformity kills choice. This concept of later addition of testing mandates — especially for the statewide, mostly Common Core-aligned tests mandated by ESSA — are the gravest concern to parents and activists who want to preserve private and home school autonomy. Even if current state laws do not contain an accountability provision now, these can be added later, so the independence and freedom of these alternative schooling options is always in danger. This is especially true for a federal choice program. …GreatSchools.org and other market sources of information about education are already springing up as choice expands without government mandates. But if you still feel the need to require testing, why not just require choice schools to take any one of a large number of standardized tests? At least that way we place fewer restrictions on the curriculum schools could pursue. The reality is mere choice of venue instead of real choice in curriculum is no choice at all, and many groups are starting to realize that. For instance, the Heritage Foundation has slowed on supporting federal school choice programs since 2017 after strongly supporting Title I portability in the run-up to passage of ESSA. This excellent article by Lindsey Burke contains many good reasons to oppose a federal choice program. 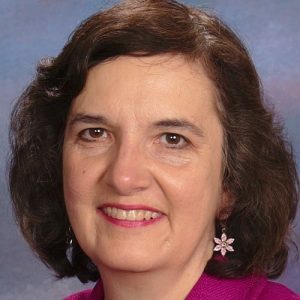 Dr. Susan Barry of Breitbart also outlined the concerns of several other national conservative education experts, including Joy Pullman, Lance Izumi, and Donna Garner. 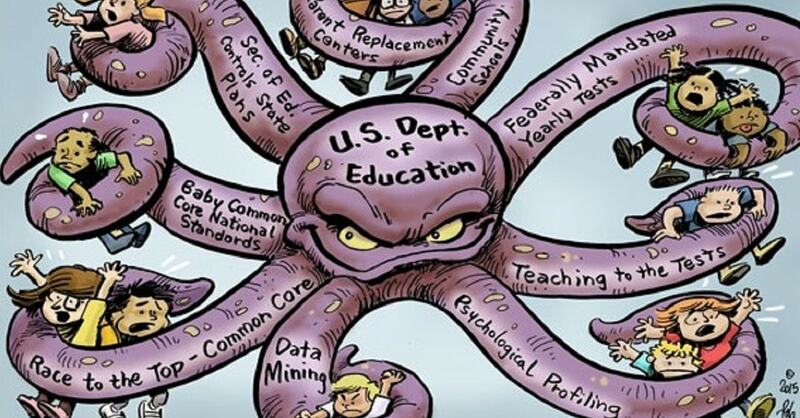 Ultimately, the best ways to preserve local control for both public and private schools is to at least get rid of the federal mandates for statewide standards, tests and accountability while ultimately working to get rid of the entire U.S. Department of Education. Then public schools could innovate and compete with private and home schools with innovative, locally derived curriculum while not exporting their strangling regulations on to schools of choice — and public school parents would not perceive that funding is being taken from the public schools. Florida Governor Ron DeSantis is starting this process by his executive order to get really get rid of Common Core and streamline testing. If not high jacked by the Bush-corporate establishment, President Trump could really follow through on his campaign promises to get rid of Common Core and decrease the federal role in education by making sure this repeal and testing effort is approved. Stay tuned! Schools belong to the local community, not the federal government. Property tax dollars designated for education should be allowed to go to the local school of choice by parents paying those property taxes. If I want my property tax dollars that are designated for education to go to a private school that is where they should go.